Register for updates, rewards, and a chance to participate in closed Alpha and Beta testing! What do you do when facing a decision that might mean the end? Do you take the risk or does this mortal coil prevent you from stepping over the precipice of choice? What if you had a whole new you awaiting the possibility of failure to come into existence? 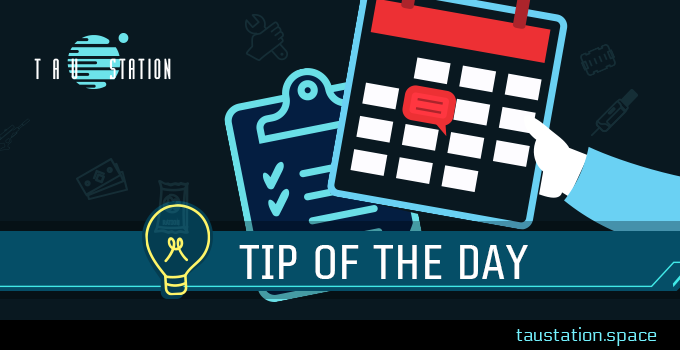 ➔Continue reading "Closed Alpha: Tip of the Day #3 – Clones"
Mutation: it is the key to our evolution. It has enabled us to evolve from a single-celled organism into the dominant species on the planet. Its process is slow, and normally taking thousands and thousands of years. But every few hundred millennia, evolution leaps forward. While we do have the utmost respect for the afore-quoted gentleman, the denizens of Tau Station’s ‘verse have taken a slightly more extropian approach. Born of necessity and the need to survive in the new situations that arise when one seeks to colonize new star systems with their own idiosyncratic gravities, atmospheres, and a whole host of new dangers, humanity bio-engineered its own evolution. 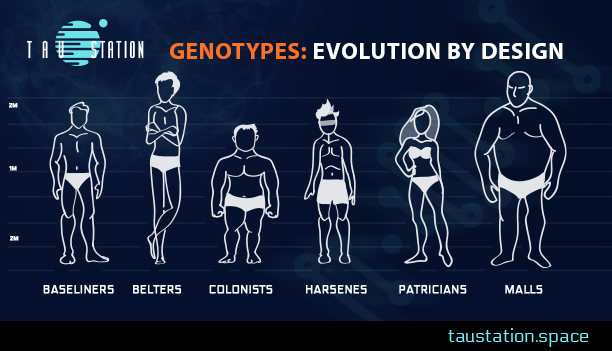 Read on below to discover Tau Station’s Genotypes! ➔Continue reading "Genotypes: Evolution by Design"
Clones and cloning are unique elements found in Tau Station. They are an integral part of our universe, serving as both interesting plot devices and essential parts of game play. Knowing how important they are to your experience, we’ve also had our art team craft visuals that help illustrate the cloning process in details that go beyond imagination. ➔Continue reading "A Visual Visit to Your Local Clone Center"
You’re walking through the space station, minding your own business, when you’re suddenly attacked by a stranger. You fight back, but they’re tough and they manage to kill you before the guards can arrive to break things up. Usually, you wouldn’t be too worried about this. Most sick bays have a grim shared mantra: “If we can scrape you off the pavement, we’ll get you back on your feet.” There aren’t too many wounds they can’t fix. There’s a problem, though: you’re on Bordeaux Station and it doesn’t have a sick bay. Those fatal wounds all over your body are, for once, actually fatal. Luckily, in Tau Station, death is not necessarily the end. ➔Continue reading "Clones – Don’t Leave Home Without One"
Ready to explore Tau Station? Subscribe to our newsletter for game updates and sneak peeks!